As previously defined, Search Engine Optimization is about helping search engines measure your page’s worth in order to determine where your page ranks on their results page. Search engines use algorithms, which are predetermined mathematical equations, to crawl through the web and scan pages. Different search engines use different algorithms, and Google alone updates their algorithm around 500-600 times a year. This is why, when it comes to SEO, there is a lot of trial and error involved. While this makes SEO seem like a moving target, you can keep three important categories in mind in order to optimize your website for search engines: quality, trust, and authority. Quality refers to giving Google substantial content, and content that is unique. Google won’t be able to distinguish between your website and another website if you don’t clearly show how your product is unique. Stay away from copied text, automatically generated content, and lookout for user-generated spam or hacking as these decrease your quality content. Take a look at the full list of Google’s Quality Guidelines. You’ll notice that most of these guidelines are simply best practices that are easy to implement. To increase trust, you have to prove to Google that your website is trustworthy. For example, if you have received many poor reviews about your website, then Google won’t want to show your site to their users. Your website’s trust increases when credible websites are linking to you. Additionally, make sure payments made on your website are secure. Search engines don’t want to send their searchers to a fraudulent website, so take the extra measures to display your company’s legitimacy. For search engines to recognize your authority, you have to prove to Google that you are popular. Create published content that people want to link to. This indicates your website as an authoritative figure in your niche. Social media presence also factors into your authority, so get people talking about you. Even featuring testimonials on your website shows that you have a fanbase. As a side note, don’t even think about trying to trick the algorithms. Cloaking refers to the malicious practice of presenting different information to users and search engines in attempts to boost SEO. Along with other practices such as link scheming and automated queries, Google penalizes websites that partake in cloaking. It is important to remember that SEO wants to work with you and not against you. Just as you want to keep your customers happy, search engines want to keep their customers, the searchers, happy. 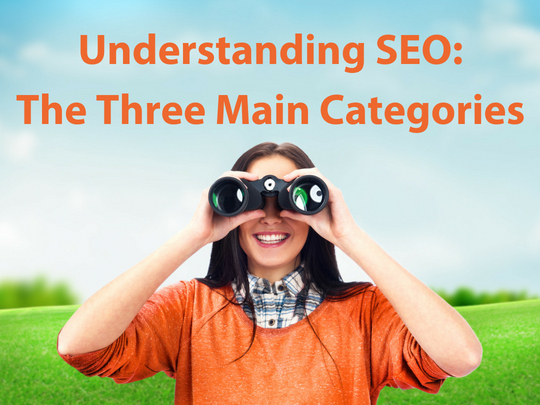 In order to please the searchers, search engines want to provide the best results possible. This is why it is your job to show search engines that your company is what the searcher is looking for. SEO can seem overwhelming, you will know you’re heading in the right directions as long as you keep quality, trust, and authority in mind.